One weekend when we were on an adventure visiting a new city, we wandered into a gift shop. 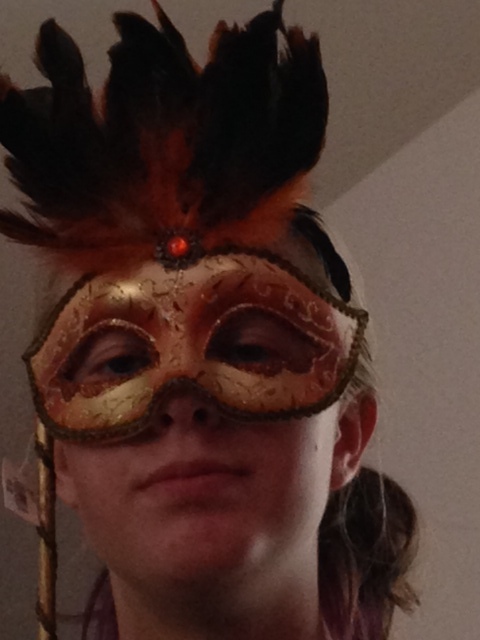 One of the items for sale was a masquerade mask. I put it up to my face and felt an immediate, exciting moment of freedom. When we left the store –half in jest to tease my children and half because of the freeing feeling, I put the mask up to my face while we walked around. Though no one else could have fully understood my actions unless I took time to explain myself in depth, I completely understood why I felt the joy. You see, in this picture you probably focus on the gold eyes framing the upper portion of the face. Yet, I am already concentrating on the shape of the face and style of hair. Due to habit, it might be easier for me to quickly identify a person behind a mask. The partially hidden face might make it harder for you to distinguish the person. So, don’t you see? We are suddenly on a level playing field! If everyone were to wear a mask such as this, you would be forced to rely on only clues having to do with the body and not the complete face. With face blindness, this is exactly how I have adjusted to seeing people. Faces hold no significance to me when we see each other in a room. I look at your face but I am really focusing on your broader details. I remember your hair cut and color and the shape of your body. I know your mannerisms. This is how I identify you. 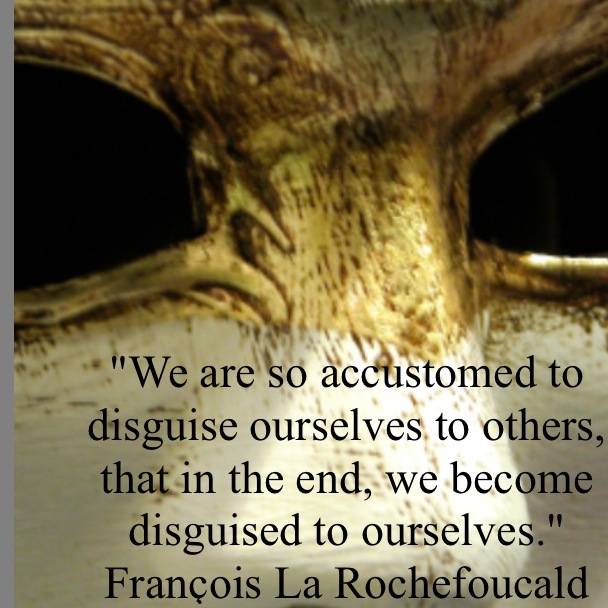 When you see someone in a mask which covers most facial features, you are suddenly at a disadvantage, too. You are now only allowed to view the characteristics I usually rely on to identify people. In a room of masquerade masks, everyone can suddenly become the stranger I see in you. I can be free… I will not be the only one asking subtle questions attempting to identify how we know each other. I don’t need to be nervous that I am the only one in the room clueless of who I might know and who I don’t. We can all enjoy the company of getting to know strangers we quickly realize are truly our friends. Seeing a face disguised by a masquerade mask can give you a quick glimpse into my everyday world.